Have you ever found yourself moving from relationship to relationship, job to job or state to state? A lot of have had those moments when our pivots turned into quitting. But there is a science to quitting. Natalie Fikes and I talk being “professional quitters” and how to make sure that you learn how to become one and pivot more into your truth. 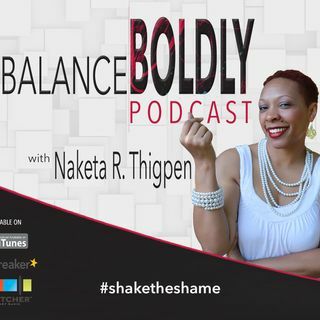 We are continuing our Season3 of the Balance Boldly Podcast on deliberate moments and being in the midst of PIVOTs, which our personal investments ... See More of viable opportunities to takeover, whatever it is that you want to take over! Yourself, your health, or your business, whatever it is, it is time to take over. On this episode, our featured guest expert, Natalie and I look at what it takes to turn your quitting mindset into a pivoting mindset.